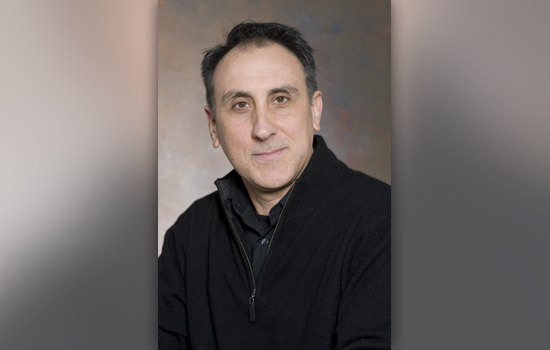 Rochester Institute of Technology scientist Carlos Lousto has been elected a fellow of the American Physical Society. Lousto is a member of RIT’s Center for Computational Relativity and Gravitation and an associate professor in the School of Mathematical Sciences within the College of Science. He was chosen to receive the honor “for his important contributions at the interface between perturbation theory and numerical relativity, and in understanding how to simulate binary black holes,” according to the society’s citation. Lousto is the second scientist at RIT to be named a fellow of the society. Manuela Campanelli, director of the Center for Computational Relativity and Gravitation, was elected in 2009. In 2005, Lousto, Campanelli and Yosef Zlochower were one of two independent teams to simulate the merger of two black holes on a supercomputer according to Albert Einstein’s theory of general relativity for strong field gravity. Lousto received a doctorate in astronomy from University of La Plata in 1987 and a second doctorate in physics from University of Buenos Aires in 1992. The society will publish the names and citations of the newly elected fellows in the March 2013 issue of the APS News. The Center for Computational Relativity and Gravitation at Rochester Institute of Technology is an interdisciplinary research center dedicated to the study of extreme gravitational astrophysics systems through the use of computer simulation and visualization. Research focuses on some of nature’s most spectacular phenomena, such as black-hole and neutron-star collisions that produce intense bursts of gravitational and electromagnetic radiation, collisions between entire galaxies and the central black-hole engine that powers active galactic nuclei.